Dr Paulo Pinho has made it his mission to offer wisdom teeth removal at affordable prices. By specialising in removal of wisdom teeth, Dr Pinho can offer a quality and efficient service at possibly unbeatable costs. For tooth extraction due to damage caused by wisdom teeth. For straightforward wisdom teeth removal with no complexities. For procedures where complexities are found during initial assessment. There are many factors that determine whether a procedure carries risk or complexity, which is why every patient has an initial assessment consultation with Dr Paulo Pinho. X-Rays are taken for proper examination, your medical history is reviewed, and Dr Pinho explains the procedure to you. You’re then provided with a fixed-price quote with Medicare item numbers. Payment plans and financing options are available to you and can be discussed in your initial consultation. Financial hardship is not a reason to ignore your dental health, and Dr Pinho strives to be as accommodating as possible. They may cause damage to the existing teeth while creating unbearable pain and bite issues. Also, the cysts that grow around the wisdom teeth can damage the surrounding nerves and the jaw. You might also experience swollen gums as the tissue around the new teeth can enlarge. 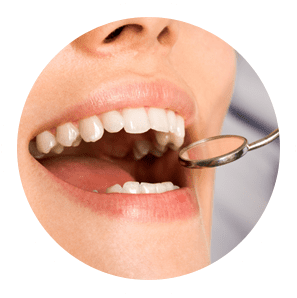 Our expert dentist will consider your age and carefully examine the position of the wisdom teeth and your mouth’s shape to decide if cheap wisdom teeth removal in Sydney is necessary. You can have the wisdom teeth removal in Sydney under local anaesthesia by our dentist. So you will be conscious, but the region around the wisdom tooth is utterly numb. Also, sedatives can be administered along with the local anaesthetic to let you ease up through the removal process. If needed, they are also removed by giving general anaesthesia. In which case, you will be sleeping during the removal process. Our dentist will suggest an option that’s best for you after careful examination. The cost of wisdom teeth removal in Sydney depends on the level of complexity to extract each tooth. So the cost may vary, and it’s determined after considering various factors during the initial consultation with our dentist. Although, you can be rest assured we offer the best affordable and cheap wisdom teeth removal in Sydney. It’s as low as $150 and no more than $970 for all 4 wisdom teeth extraction. Consider applying an ice pack on your cheek. Repeat it for a few minutes at a time for the first day. Also, ensure you don’t bite the inside of your cheek or lip. Have soft foods like gelatine, light soups, mashed foods, and pudding. You can slowly include solid foods to your diet as recovery progresses. Don’t sleep flat, as it may extend bleeding. Use pillows to raise the height of your head. Take good rest after surgery. Avoid physical activity as it can lead to bleeding. Contact our dentist if you still experience bleeding in your mouth 24 hours after the wisdom teeth removal in Sydney. The type of extraction needed : Impacted teeth generally cost more to remove because they require surgery to accomplish. Simple extractions that can be performed at a regular dentist cost less. Your individual dentist : This can be a big factor in regards to the cost. Since there are no regulations on pricing for dental work, the dentist is really free to charge whatever he/she wants. Where you are located : Where you go for the procedure can impact the cost, and this will vary from state to state. There is a price difference between big cities and rural areas as a result of less competition and less resources, so in general, having your wisdom teeth removed in a big city will be more affordable. How complicated is your case ? Find out whether your situation is complicated or simple. If the wisdom teeth removal procedure is simple and can be performed easily, a good health insurance provider will rebate majority of the costs. 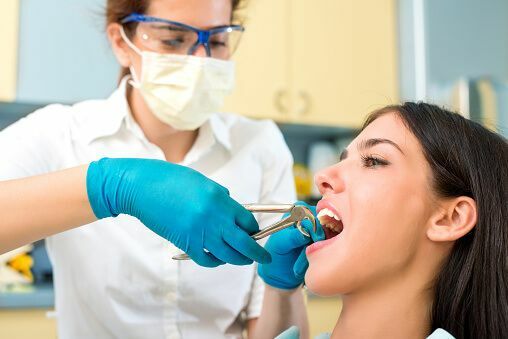 See a wisdom teeth removal specialist – there are some dentists who specialise in wisdom teeth removal, and because of this they often offer very reasonable prices. Keep your eye out for promotions – with more and more competition in the industry, sales and promotions are often easily found online. Keep your eyes peeled. What Are Potential Wisdom Teeth Removal Complications? Paraesthesia, also known as nerve damage: It is a less frequently occurring complication. Wisdom teeth entrapped in the jawbone are sometimes close to nerves. These nerves can be bruised or damaged during the tooth removal process. The result is a numbness (called a paraesthesia) of the tongue, lip or chin that can last a few days, weeks, months or may even be permanent. Dry socket: It is a complication of wound healing following extraction of a tooth. It occurs when either a blood clot has failed to form in the extracted tooth socket or else the blood clot that did form has been dislodged. If clotting doesn’t occur, healing will be delayed. When it happens, dry socket typically occurs 3 or 4 days after the extraction and is accompanied by pain and a foul mouth odour. It will heal and recover with time but your dentist can surely help you out. These usually consist of rinsing the inflamed socket gently followed by placing some type of sedative dressing, which soothes the inflamed bone for a period of time and promotes healing. How is the IV Sedation Administered for Wisdom Teeth Removal? A thin needle will be introduced into a vein in your arm or hand. The needle will be attached to an intravenous tube through which medication like versed will be given to help you relax and feel comfortable. The goal of IV conscious sedation is to use as little medication as possible to get the treatment completed. It is very safe, much safer than oral sedation. With IV conscious sedation a constant drip is maintained via the intravenous tube. At any time an antidote can be administered to reverse the effects of the medications if necessary. When Should You Get a CT-Scan For Wisdom Teeth Removal? A CT-scan provides more detailed information about the position of wisdom teeth and their proximity to nerves and sinuses. While not indicated routinely for wisdom teeth, this type of image is helpful for patients who have severe or deeply impacted wisdom teeth and when your dentist is concerned about proximity to nerves, sinuses, or cysts. Although rare, any irritation to the nerve that passes under the lower wisdom teeth, can lead to a period of numbness along the lip and chin area. In most cases, this condition is temporary and resolves gradually in six to eight weeks. Only in rare instances, it may become more prolonged or permanent. Recently, cone beam CT-scan (CBCT) machines like I-CAT have become more readily available in dental offices. With less cost and significantly less radiation, CT-scan is being used more often instead of a panoramic X-ray. 8 or 23 second scan that provides enough data for a complete all-on-4 treatment. A more cost-effective imaging system. We can easily share the data with patients, so patients stay informed and are able to make educated decisions on their course of treatment.